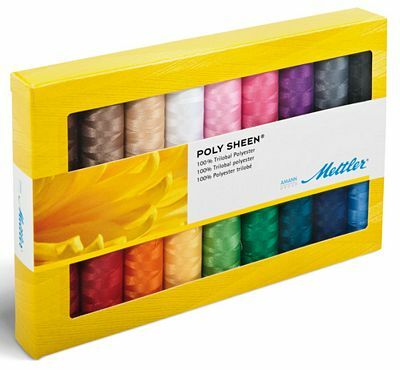 Contains 18 220 yard spools of Mettler Polsheen Embroidery Thread. 18 220 yard spools. Colors numbers 0015, 0020, 0112, 0630, 0853, 1102, 1140, 1346, 1902, 1912, 2520, 2560, 2810, 3323, 3641, 4515, 5422, 5531.